Renault have completed its takeover of the Lotus team and will return to Formula 1 as a constructor in 2016. An insolvency petition that would have put the team into administration was formally dismissed. Renault sold the team to investment group Genii Capital at the end of 2009 after deciding to quit as a constructor, although it remained involved as an engine builder. However, following the breakdown of its relationship with Red Bull, the French manufacturer has decided the best course of action is to run its own team once more. Renault and Red Bull won four world driver and constructor doubles together from 2010-2013 but tension grew following the engine builder's inability to produce a competitive power-unit under the new turbo hybrid formula introduced at the start of 2014. Red Bull had a contract with Renault until the end of 2016 but broke this off in the summer in order to seek a different engine. 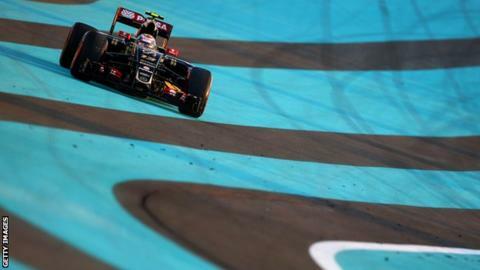 Renault's buy-out of Lotus was in doubt following a row over prize money with F1 commercial boss Bernie Ecclestone. But an agreement was reached and some sources say Renault will commit to F1 until 2024. The Renault drivers for next season will be Venezuelan Pastor Maldonado and British rookie Jolyon Palmer, who was the Lotus reserve driver this season. Both drivers were signed by Lotus while the Renault takeover was still in doubt. The role of team principal is expected to be taken by Frenchman Frederic Vasseur, the boss of the successful ART team in the GP2 feeder category.